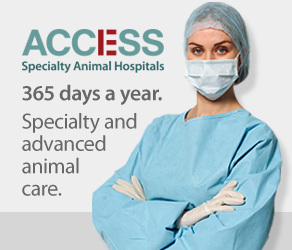 Welcome to ACCESS Specialty Animal Hospitals. 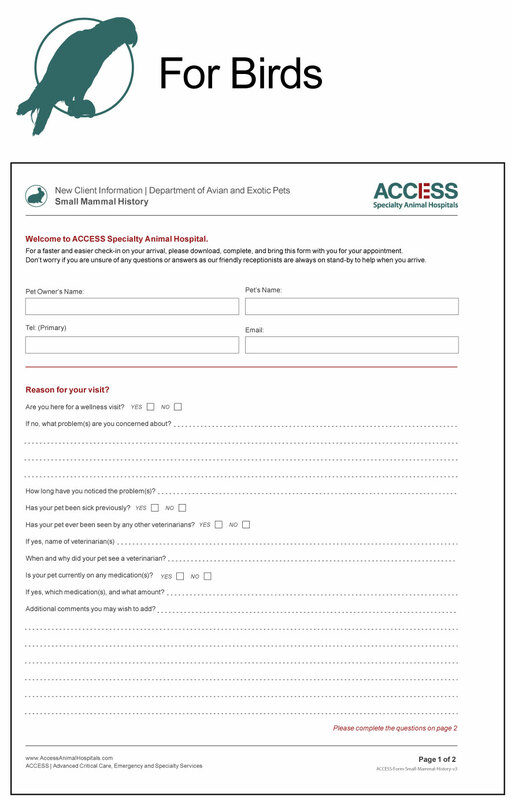 If this is your first visit to ACCESS and would like a faster and easier check-in on your arrival, please download, complete, and bring these forms with you. 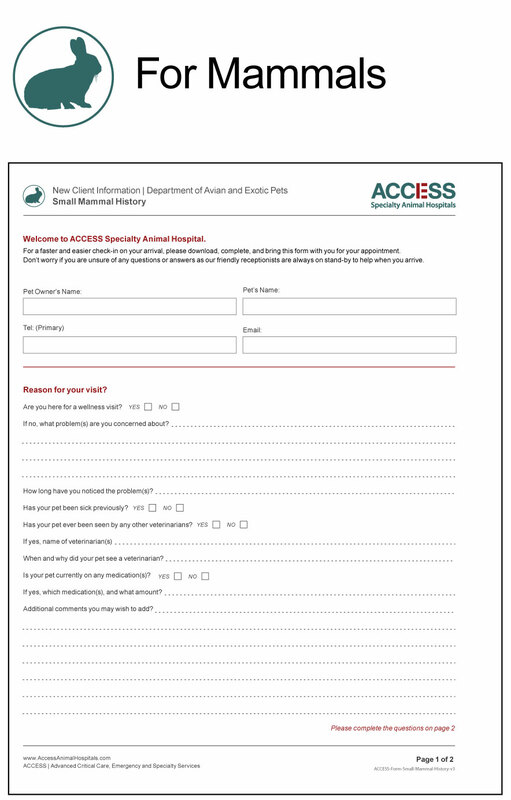 Don’t worry if you have an emergency, or if you do not have the means to download and print, as these forms will be provided to you by one of our friendly receptionists when you arrive. 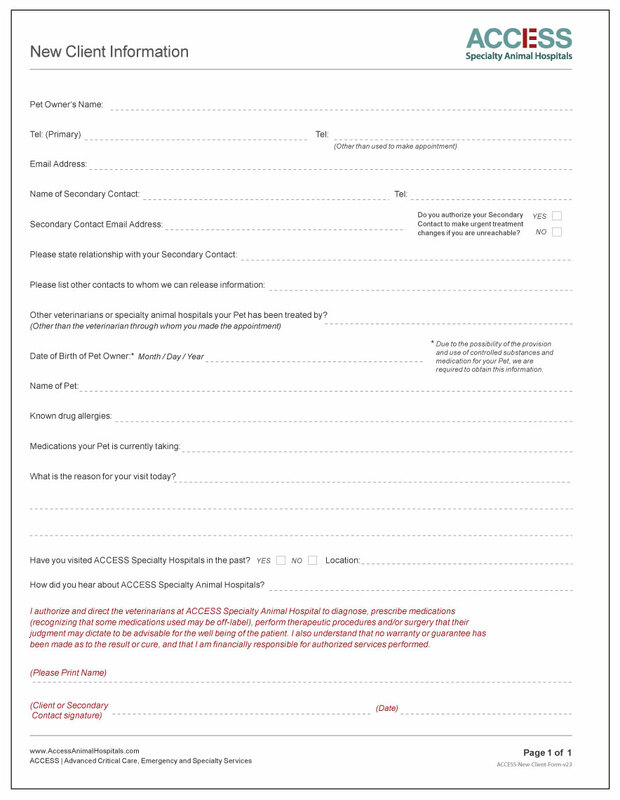 The below form is for all first time visitors. 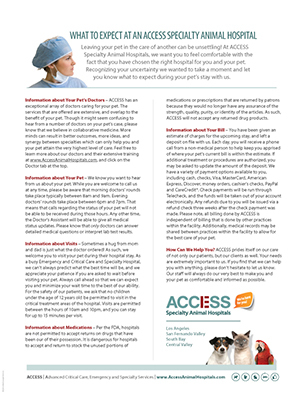 If you have an Avian or Exotic Pet, please see below for additional forms for your convenience. 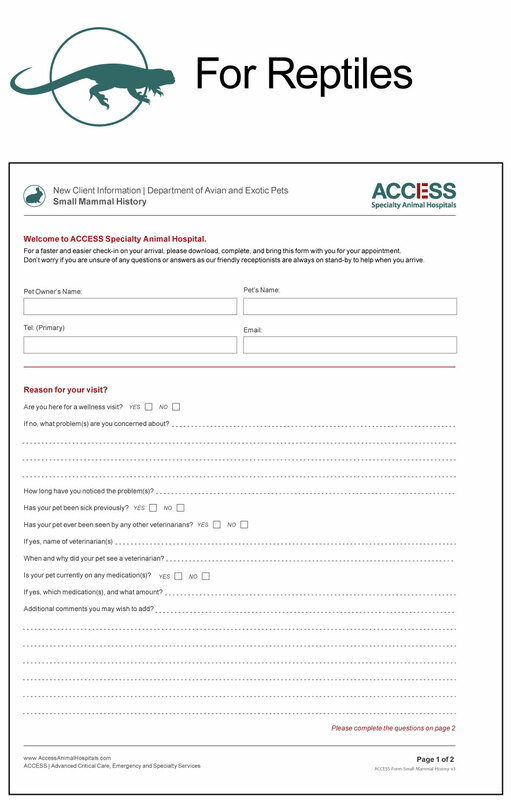 The below forms are for all first time visitors with an Avian or Exotic Pet.